[Android] Planimeter: measurement data notification while tracking. 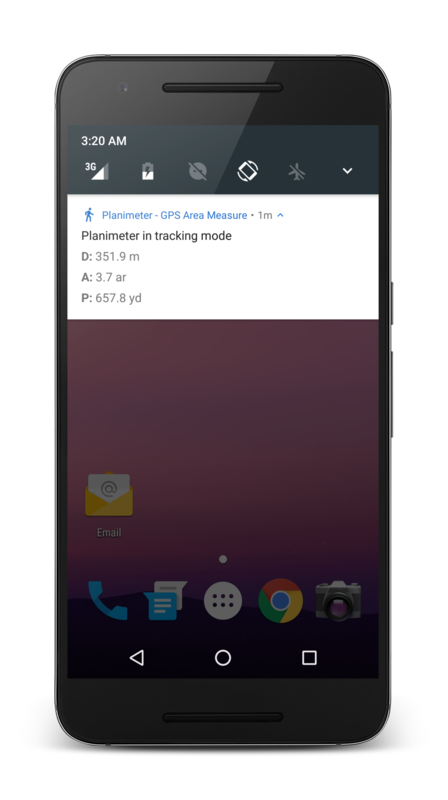 Planimeter update v4.6.2 for Android introduces small feature that makes GPS tracking even more convenient. 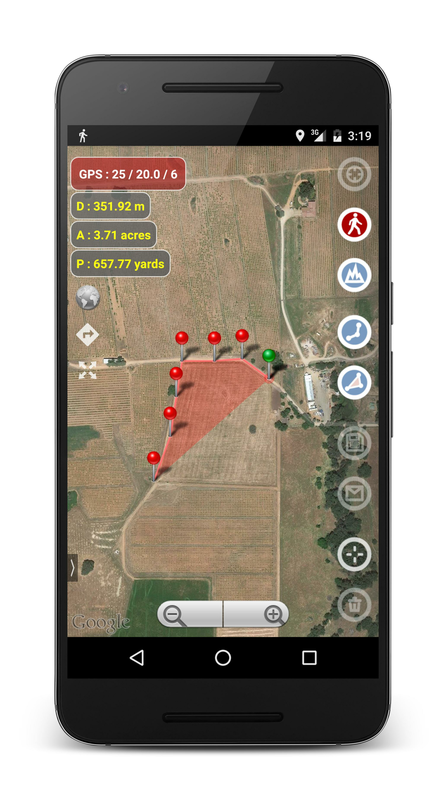 Now you have quick access to the measurement data via notification while doing GPS tracking. Distance, Perimeter and Area are shown in selected units and automatically updated in the notification when a new way-point added to the track.